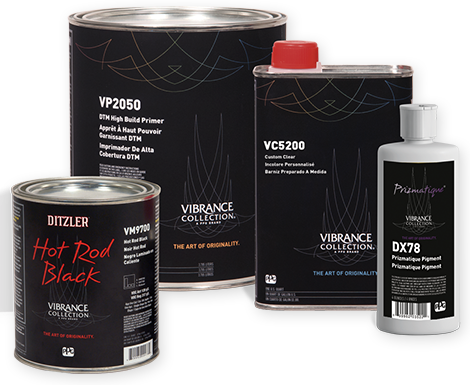 Vibrance Collection® offerings have been carefully crafted to work seamlessly with all of our premium-quality solvent- and waterborne topcoat systems. By staying within one paint system from primer to topcoat, you can be confident knowing you’ll have the bold colors, dazzling effects and outstanding durability that can only come from PPG. Bring out your inner artist with this collection of colors and effects. It's silver gone wild for that ultra-smooth, faux-metal look.